Naval Base Kitsap is located in Kitsap County and is composed of Naval Base Kitsap - Bangor and Naval Base Kitsap Bremerton. Each base has its own specialties: Bangor works with the submarine communities and Bremerton with the Ship communities. Naval Base Kitsap Bremerton is also connected to Puget Sound Naval Shipyard which works with major ship and submarine overhauls. The two towns of Bremerton and Silverdale are dependent upon the Department of Defense for the highest commerce of the county. Additionally, centrally located between Bangor and Bremerton is Naval Hospital Bremerton, a fully accredited, community-based acute care and obstetrical hospital, and hosting a variety of specialty clinics. Naval Base Kitsap-Bangor is located on the Kitsap Peninsula across Puget Sound from Seattle. Travel from Seattle via Seattle-Bainbridge Island ferry (30 minute crossing time) or the Seattle-Bremerton ferry (60 minute crossing time) or drive around the Sound by going south from Seattle to Tacoma on Interstate 5. At Tacoma, take State Hwy 16 west to Gorst, then Hwy 3 north to Silverdale and Naval Base Kitsap-Bangor. From the Seattle-Tacoma (SEATAC) airport, the drive is approximately 1 1/2 hours (depending on traffic conditions). From the south of Tacoma, drive north on I-5, west to Highway 16 and drive north to Hwy 3 to Bremerton/Silverdale area. Follow signs for Main Gate entrance. For further assistance and answers to questions, call the Naval Base Kitsap-Bangor Fleet & Family Support Programs at 1-800-562-3301 or 360-396-4115. The automated base operator's phone number is 360-396-6111. On September 16, 1891, Lt. Ambrose Wyckoff invested less than $10,000 when he purchased 190 acres of the Pacific Northwest wilderness and established the first Naval Station Puget Sound in Bremerton. As the maintenance needs of the Navy grew in the Pacific Ocean in the early 1900's, the Naval Station became the Naval Shipyard. Until 1941, the Puget Sound Naval Shipyard remained the only West Coast Battle- ship Repair Facility in the Navy. By 1945, the wartime workforce had reached more than 32,000 personnel. During the 1950's, the Shipyard's major effort was the extensive program of converting the older aircraft carriers conventional flight decks to angle decks as the Navy entered the era of jet powered aircraft. Between 1917 and 1969, a total of 85 ships were constructed at the Puget Sound Naval Shipyard including the largest vessels on the West Coast, the Sacramento-Class Combat Support (AOE) ships. In 1961, the Shipyard was certified as a nuclear repair facility, enabling it to perform the overhauling of the new Polaris Fleet Ballistic Missile (FBM) nuclear-powered submarines. Its current mission includes performing overhauls and repair of all sizes and types of ships in the Navy, submarine and surface ship recycling, and serving as a major Planning Yard function. The Naval Sea Systems Command Detachment, Naval Inactive Ship Maintenance Office (NISMO) provides for inactivation, maintenance, cannibalization, disposal and preparation for reactivation of assigned vessels. Puget Sound Naval Shipyard is proud of its history as a naval presence on the West Coast since 1891. On October 1, 1998, Naval Base Kitsap - Bremerton was commissioned as the Navy's newest homeport. It encompasses the former Military Support Area of PSNS which includes all piers for the five homeported ships and the Inactive Ships Maintenance Office, Bachelor Quarters (five BEQ and one BOQ), Chapel, Fleet & Family Information Center, MWR facilities, NEX and Commissary, and the Personnel Support Activity Detachment (PSD). Naval Base Kitsap - Bremerton is homeport to the USS Carl Vinson (CVN70), and the USS John Stennis(05). Naval Base Kitsap - Bremerton family housing is located in the Jackson Park Housing area with over 800 family homes, a state of the art recreational area and a DON Child Development Center right in the neighborhood. The Fleet Support Building hosts the following activities: Personnel Support Activity Detachment (PSD), DEERS/ID Cards, and the Battle force Integration Training Facility which features video tele-training of all types to keep the Sailors proficient in their skills. In addition, the building also features 4-in-1 classrooms plus a 200+ seat auditorium. 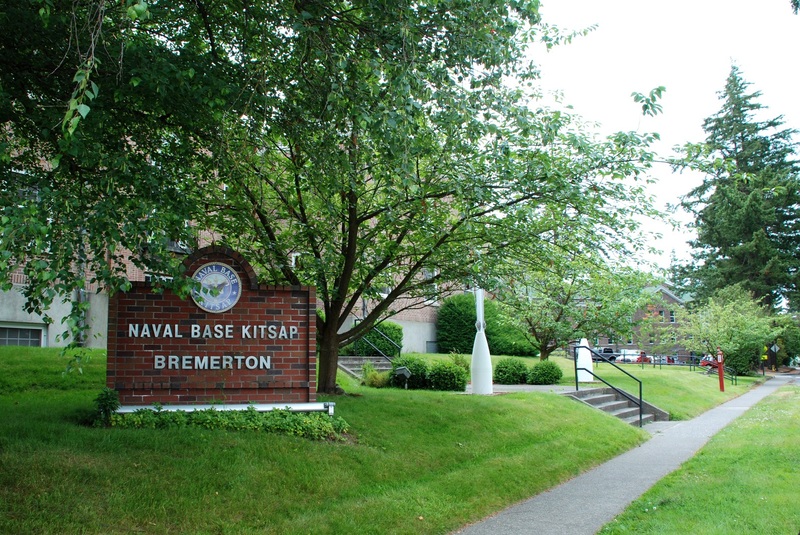 On June 1, 2004 Naval Station Bremerton's and Submarine Base Bangor were joined to become one regional base known as Naval Base Kitsap. Puget Sound Naval Shipyard operates as a seperate unit. The mission of Naval Base Kitsap is to serve as host command for the Navy's fleet throughout West Puget Sound and to provide base operating services, including support to submarines, aircraft carriers and surface ships home ported at Bremerton and Bangor. Naval Base Kitsap also provides world-class service, programs and facilities that meet the needs of the hosted war-fighting commands, tenant activities, crew, service school and employees, all of whom deserve the best there is to offer every hour of every day. Essentially, Naval Base Kitsap is responsible for the services and support to run an industrial area and waterfront as well as residential facilities and quality of life services. By combining the facility and grounds support of Naval Submarine Base Bangor, Naval Station Bremerton, and Naval Undersea Warfare Center Keyport, redundant facility support services, infrastructure, and command structure are eliminated. The home ported war-fighting units and tenant commands can focus on their core missions - what they do best and need to do best - their mission. Kitsap Transit provides scheduled bus transportation on Naval Base Kitsap-Bangor, from the housing areas and community center to the lower base and to the Transit Center at the Kitsap Mall in Silverdale with connections to other areas in Kitsap and Jefferson Counties. Kitsap Transit also provides scheduled bus transportation to Naval Base Kitsap-Bremerton as well as the Jackson Park housing area. After you receive final orders to Naval Base Kitsap, your current command will send a message to your new command stating when you will arrive. A sponsor will be assigned and given contact information about you. You may contact your command/sponsor and ask for a Welcome Aboard Packet. 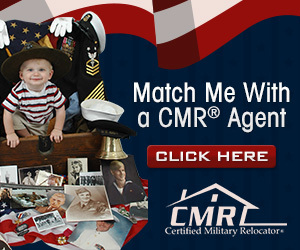 Military One Source is also a great point of contact for information. Your sponsor can arrange to pick you up at the airport or your command may arrange for a duty driver. Check in with your housing office if you need family housing. You may start your paperwork as soon as you receive your final orders. When you arrive at Naval Base Kitsap, report directly to your new command and be sure to do so by the date on your orders. The Duty Office for Naval Base Kitsap is 360-627-4024 or DSN 312-439-4800. Mail enroute should be forwarded to a trusted address until quarters have been arranged. Naval Base Kitsap-Bangor is located on the Kitsap Peninsula across Puget Sound from Seattle. Travel from Seattle via Seattle-Bainbridge Island ferry (30 minute crossing time) or the Seattle-Bremerton ferry (60 minute crossing time) or drive around the Sound by going south from Seattle to Tacoma on Interstate 5. At Tacoma, take State Hwy 16 west to Gorst, then Hwy 3 north to Silverdale and Bangor. The drive is approximately 1 1/2 hours (depending on traffic conditions). The Washington state ferries run approximately every hour between Seattle and Bainbridge Island from 5:00am to 1:00am. Ferry traffic is very heavy on summer weekends and holidays, travelers may have to wait for several ferries before being allowed to board. Drive north on I-5, west to Highway 16 and drive north to Hwy 3 to Bremerton/Silverdale area. Look for the exit marked "Naval Base Kitsap Bangor Main Gate. For further assistance and answers to questions, call the Naval Base Kitsap-Bangor Fleet & Family Support Programs at 1-800-562-3301 or 360-396-4115. If you arrive by air, there are a number of transportation services available from the Seattle-Tacoma (SEATAC) International Airport. An airport shuttle service, the Bremerton-Kitsap Airporter, leaves SeaTac at the south end of the baggage claim area about every hour from 7:00 a.m. to 10:00 p.m. The service is available on weekends, but less often. At the airport Military Assistance Counter, you can check on details and prices. It takes about 90 minutes for the trip. The Airporter will drop off at Navy Gateway Inns and Suites, the East BEQ, Pass and ID, or TPU. Cost of a one-way ticket is $22.75 per person for active duty service members and their family members (children ages 2-11 are $12.75 per person). More information is available on the Kitsap Airporter website. The combined Naval Base Kitsap - Bremerton/Puget Sound Naval Shipyard complex is located an hour ferry ride away from Seattle and 30 miles northwest of Tacoma. The Washington State Ferry System runs average about every hour and 20 minutes between Pier 56 in downtown Seattle and the downtown Bremerton terminal. The main gate to the complex is on Callow Street, located three miles west of the ferry terminal off Burwell Street and is open 24 hours daily. The downtown gate for the Shipyard is one block from the ferry terminal but is only accessible for official business with prior authorization. Proceed out to Interstate 5 (South) to Tacoma for 26 miles, then west on State Highway 16 for a scenic 30 minute drive to Highway 3 (North). The west end of the base and most of the Inactive Fleet will be visible along the waterfront. Turn right on Farragut Ave, just past the inactive fleet, for the main gate. The base complex is small (1100 acres) and is congested. Parking is limited and tightly controlled. Security access inside the Naval Shipyard Controlled Industrial Area (CIA) portion of the complex is tightly controlled with Security Area Control Badges (SACB's) worn, and always visible, at all times. Be sure to visit the USO located in the SeaTac Airport for directions, Kitsap Airporter directions and any other information you might need. If you arrive by air, there are a number of transportation services available from the Seattle-Tacoma (SEATAC) International Airport. An airport shuttle service, the Bremerton-Kitsap Airporter, leaves SeaTac at the south end of the baggage claim area about every hour from 7:00 a.m. to 10:00 p.m. The service is available on weekends, but less often. At the airport Military Assistance Counter, you can check on details and prices. It takes about 90 minutes for the trip. Also, there is a GrayLine-Airport Express which will deliver you to within walking distance of the ferry terminal. It runs about every 25 minutes. You can arrange through your command or ship sponsor to arrange for a command driver. Please arrange for this at least 3 weeks ahead of your arrival and verify the day before arrival. The Airporter will drop off at the Burwell 76 Gas Station at the intersection of Burwell Street and Montgomery Avenue. This is one-half mile from the Naval Base Kitsap-Bremerton Naval Avenue Gate. Recommend contacting your sponsor for ground transportation support if you take the Bremerton-Kitsap Airporter to Naval Base Kitsap-Bremerton. Cost of a one-way ticket is $20.25 per person for active duty service members and their family members (children ages 2-11 are $11.50 per person). More information is available on the Kitsap Airporter website. No listings found for Kitsap-Bremerton Naval Station.